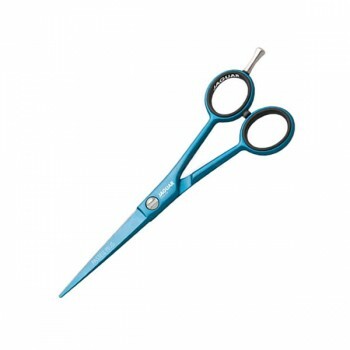 The Jaguar Pastell Plus features ice-tempered stainless steel which helps these coloured scissors stay sharper for longer. Featuring hand-honed blades, The Pastell Plus is absolutely perfect for fabulous for slice cutting. The Turquoise Pastell Plus has an adjustable tension screw and gold finger rest as well as comfort finger rings. For those stylists looking for something quality, but a little different, the smart turqouise finish is ideal. We currently stock the Jaguar Turquoise Pastell Plus in 5".